Sometimes it is necessary to make changes to individual plots or tables on an analysis report before it is ready for publication. On the Distributionanalysis task pane, click the Frequency Distribution panel. The options for the histogram are displayed. In the Start at edit box, enter 10. In the Classes edit box, enter8. In the Width edit box, enter 5. 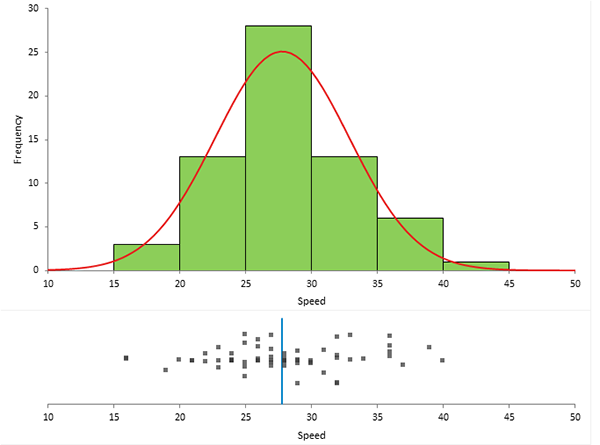 The histogram now has better class intervals and the Normal distribution curve shows that the distribution is roughly normal.